I have a deep appreciation for Yoga. Not only do I find it extremely beautiful, yoga is known to improve flexibility, build muscle strength, increase blood flow, as well as a myriad of other body benefits. 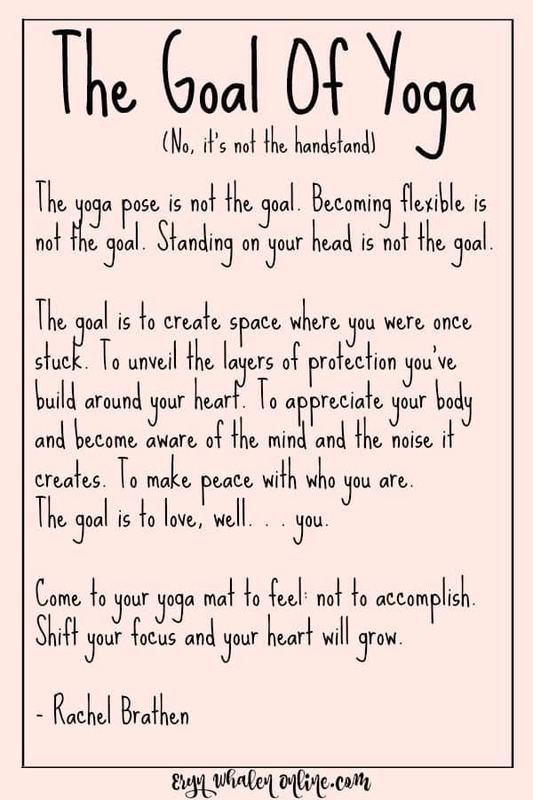 As much as I’ve been intrigued by yoga though, it’s hard for me to settle down and actually do. Part of the reason I find it difficult is because it feels so slow, and slow is foreign concept to me. I’m a fast girl. Fast workouts, talking fast, performing tasks so fast I often have to redo them. #truth. Fast is my game. But honestly, the past few months I’ve been very drawn to yoga. 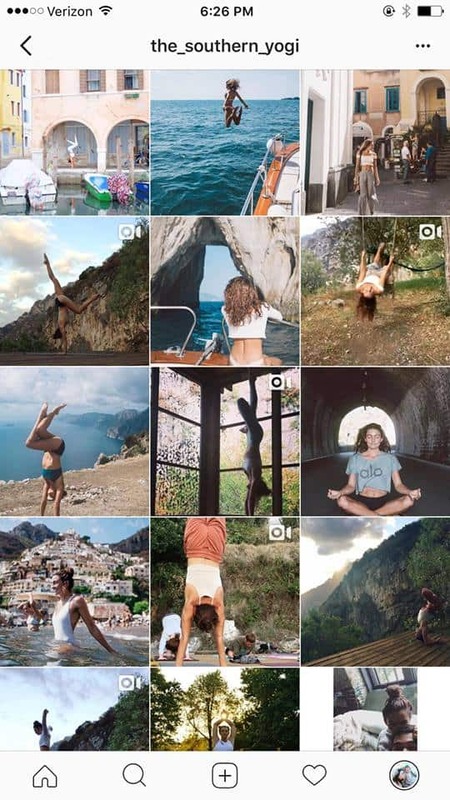 Those that perform yoga regularly seem so centered and self aware. As if they know their bodies better than the general population. They are in tune with how they work and function, (I mean, have you seen Uddiyana performed? Fascinating!) and on my constant quest to be healthier and gain knowledge about myself, that all sounds appealing. As I dive a couple years into my thirties, I’m always looking at those in their 40’s, 50’s and beyond and analyzing their lifestyles. Picking apart what they do to maintain their health, and the things those older than me struggle with. Hands down, a lot of it has to do with flexibility. So then, shouldn’t I make being flexible one of my goals? What’s a fast girl to do? Learn to be intentionally slow. As if Ellie, the activewear subscription box I’ve been a part of for the past four months read my mind, they sent a yoga themed box for September! It’s a sign! 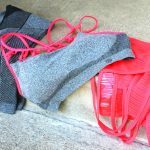 My opinion of the high quality Ellie Activewear are 100% my own. I would never recommend something I don’t believe in, or have never used. For more information, see my disclosures here. 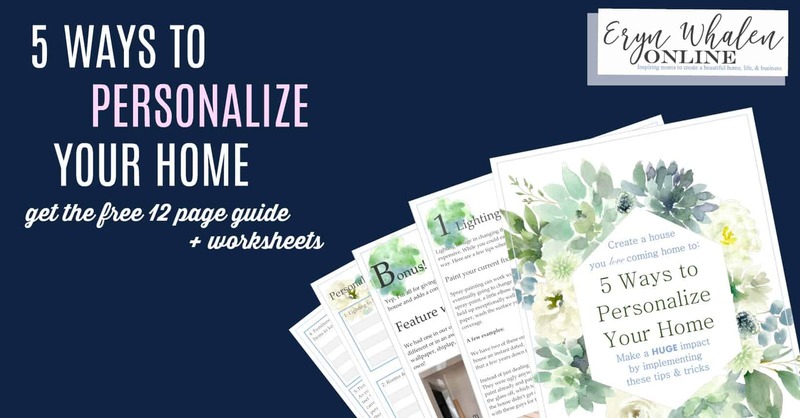 Ellie is a monthly subscription service that has two options. The first is a box of 5 items: A bra, top, bottom, and two fitness accessories. 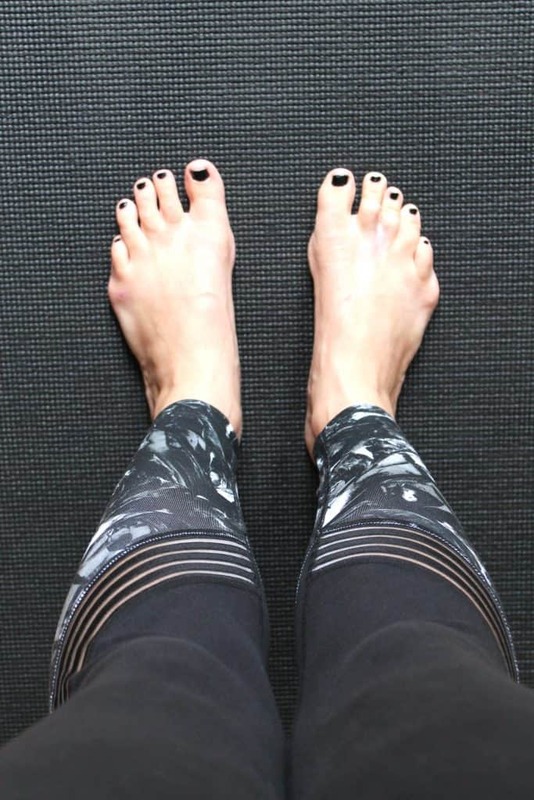 (This month’s was a yoga blog and socks.) All for $49.95. The second box is simply the bra, top, and bottom for $39.95. They are both amazing deals honestly. 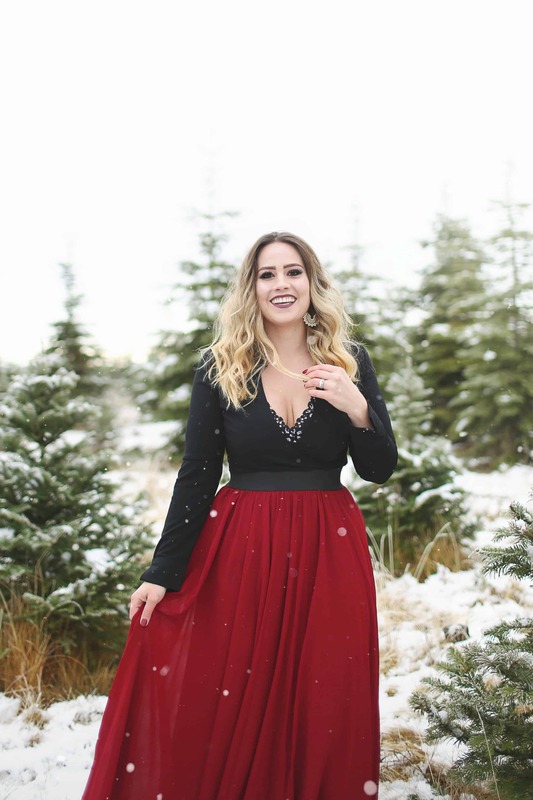 I can vouch for the quality after having months of wearing the outfits frequently. Each month on the first Ellie announces the new box with a new video and new images so you know what to expect. If you don’t like it, skip. You’ll get an email 3 days before your box ships where you can review the new month and easily skip with a click of a button. The pants and shirt are so soft . . . I pulled out the pants and shirt and noticed right away how smooth and comfy they felt. Definitely made for yoga. The pants are well fitted, flexible, comfortable & breathable. They feel different than the running theme box, which pants obviously had a higher Lycra content for compression and moisture wicking. 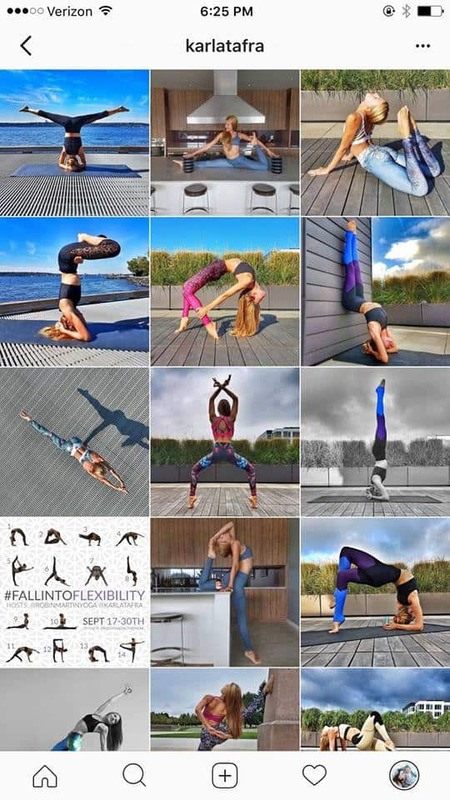 Yoga apparel needs to be flexible to bend easily with your body. These pants do that for sure. And the shirt, let’s talk about the versatility of this shirt for a moment. I’m dying over the color. I’m not a super huge fan of bright greens on myself, but the camo greens? I can totally get into those. And it’s your choice how to wear it, high or low in the front or back! I’d even wear the shirt and bra as a combo for going out paired with jeans and boots. I think it’s super chic! Or, turn it around and wear it low in the front. This is my favorite shirt so far! Each month I get something and think, they can’t top this, but they keep surprising me! And the bra . . . man do I love my Ellie bras. They always fit well. The bottom of this one is nice and snug and the support is just as great as always. Love the strap details. It’s perfect when wearing the shirt low in the back so the fun straps are showcased. With my newest outfit and drive to jump into yoga it’s going to happen! Below is my plan to make it so! In my attempt to embrace the slowness and intentionality of yoga I plan to revisit an older program I use to do and love: PiYo. It’s an incorporation of pilates and yoga that helps build strength and increase flexibility. I did the program while training for my summer of four half marathons and appreciated how it kept me from becoming stiff from all the training. I’m also going to find a 10-15 minute yoga routine to perform before bed. I’ve heard the amazing benefits of yoga on relaxation and sleep. Lastly, I’m going to try to attend a yoga class at our local studio, The Union, once a month. I already do spin classes there and love them, so I know the yoga classes will be a hit as well! And when doing anything new we could all use a little inspiration right? 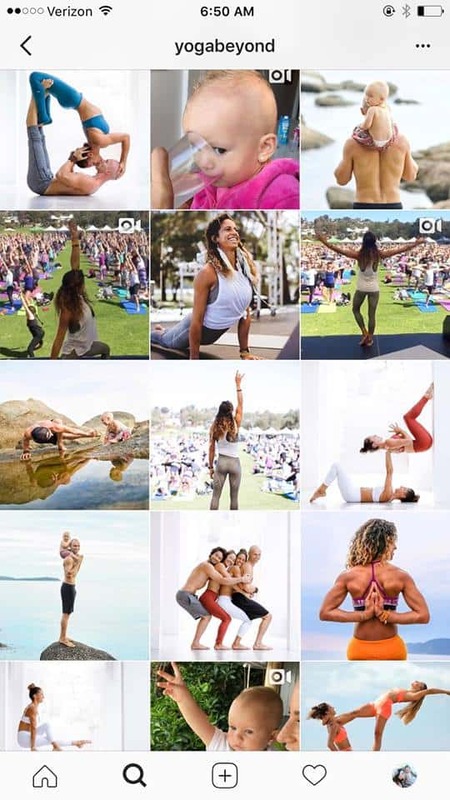 These ladies and companies live and breath yoga! #Goals! Do you want to incorporate yoga into your workout rotation? How do you plan to do it? Maybe you’re already proficient in Yoga? If so I’d love any words of wisdom and tips you’ve got! Make sure to head over to Ellie and get your three or five piece box this month and let’s start yoga together! 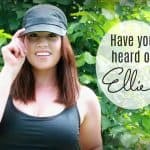 Have You Heard of Ellie Activewear? The Hot Monthly Subscription Box. 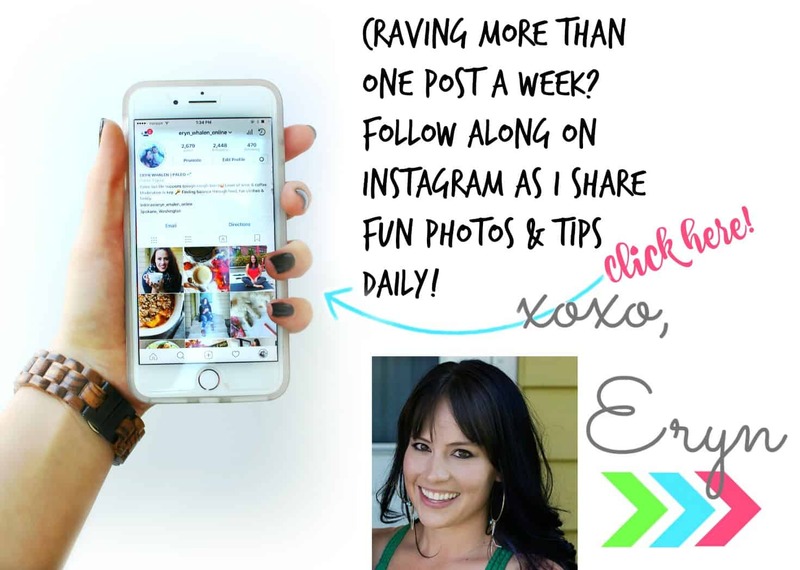 Previous Post: « Fall Roundup! What you need to wear, watch, and do this season. I’ve been coveting that top ever since I saw it on your IG! Need! It’s so soft and comfy! A new favorite for sure! It would look great on you! The clothes are so cute, maybe they would motivate me to work out more! It’s worth a try! 😉 Plus you get cute clothes, so either way it’s a win! That top is so cute! I need to check this out! I am always in need of new yoga clothes! I love that strappy sports bra! The pants looks super comfy too. Wow loooove that top! There’s Nothing like cute activewear to motivate me to workout! Love the details on the back! I wear yoga clothes all the time for work but only wish I could wear this cute of items! That bra and those leggings are so cute!